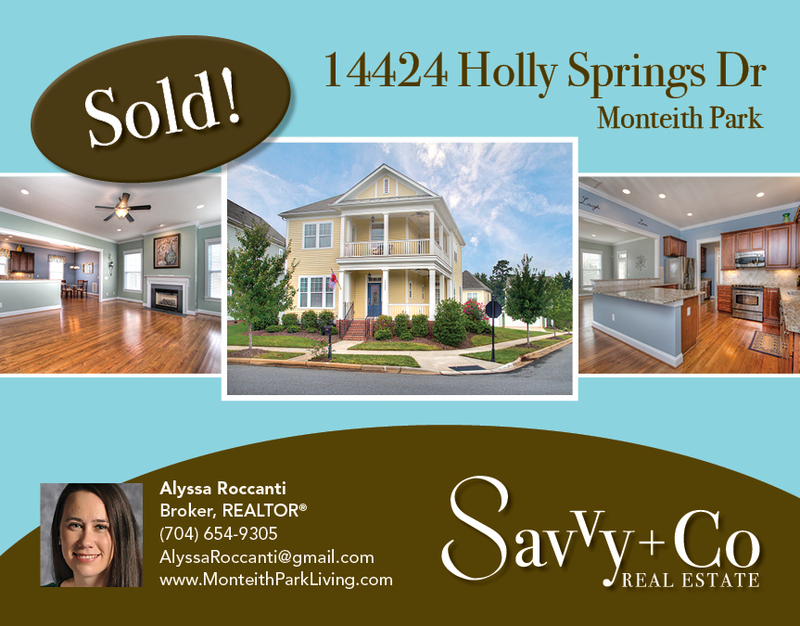 SOLD: Savvy Sellers in Monteith Park! SOLD: Savvy Sellers in Monteith Park! Another Oops Too Late in Monteith Park, a gorgeous Charleston Style community. Monteith Park offers convenience to the Huntersville area along with the highway, Birkdale Village, restaurants AND Lake Norman. Monteith Park has about 500 residents, homes and townhomes, that have numerous floor plans along with two home builders, Saussy Burbank and KB Home builders.